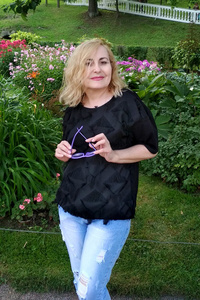 Meet Amazing Girl Galina from Almaty, Kazakhstan, 52 y.o. Seeking A guy 52-64 y.o. Life is good but together it is better. Holidays road trips, cinema, dinner and also staying home together. I am looking for my friend and my soul mate and mb my husband. Someone who is adventurous and has a great sense of humor. Someone who brings out the best in me.Someone who is confident, caring, trust-worthy, open-mind and knows what he want. I will give him all of my heart and want to care of him.